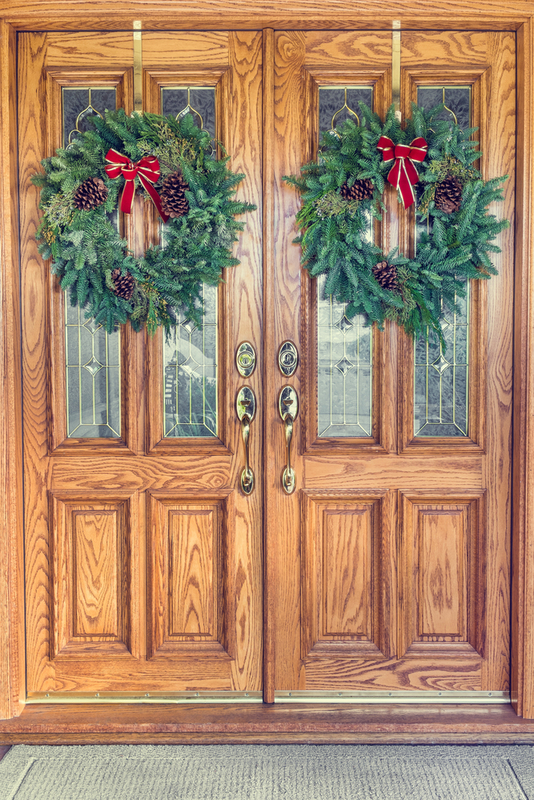 Your home’s entry door is an important focal point in the overall look of your property. Whether you choose classic neutrals or something bold and bright, your entry door is the first thing people will see. To help choose the best color for your door, Cincinnati’s Murphy Home Improvement offers a few tips and ideas to get your creativity going. If you aren’t sure where to begin, take a photo of the exterior of your home and bring it with you to a paint store. Make sure you can see the entire house in the picture so that all details are present and can be tested against color options. Select color chips and place them over the door in your photo, letting you see how those colors look against the rest of your property. You can also bring the color chips home and place them against the exterior of your house. Color chips are small, but you can enlarge them with a color copier or at a copy store to see the options more easily. Depending on the shade of your house, a pop of color at the entry door can make a huge difference in the overall look. For houses with lighter siding like white, light green, or light blue, dark, rich colors such as black, purple, and dark red offer a great contrast. Drastic color contrasts are also appealing with houses in colors such as pink or yellow. Try a black door for these homes. Houses with darker colors should stick with neutral, rich colors, giving them a classic and inviting vibe. Rust or maroon doors work with dark greens, blues, and browns while gray and navy complement each other well. Whichever color combination you choose, complete the look with cream or white door trim. For more than 30 years, Murphy Home Improvement has been the Cincinnati area’s top choice for exterior renovation and home improvement. Their top-quality entry door and window options and expertise in remodeling make them a trusted resource for homeowners, no matter the size of their project. Don’t forget to bring your measurements to their showroom to receive a 10% discount on windows and doors. Visit them online to view their showroom or call (513) 922-8989 for an appointment.